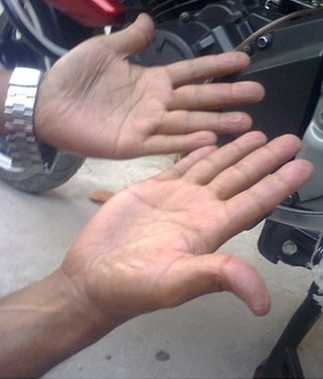 Fuel contamination is common when the bike is not ridden or used often. When you set your bike aside for the winter, you need to make sure that the gas inside does not go stale and clog the fuel system. There are many ways to avoid this issue, such as ensuring that you never leave gas in the tank when it will not be used for an extended period of time or adding fuel stabilizing additives that help stave off the effects of fuel contamination. Rub fuel in your hand. See if it dries off. Easy to test lead acid batteries. Dead batteries are one problem that is consistent with many motorcycle riders. There are a few different reasons why batteries often die in motorcycles. The best possible remedy for this situation is to regularly ride your motorcycle, even during the winter months. If you prefer warm weather riding, stock up on winter motorcycle gear to stay comfortable. Taking your bike out even once a month for a short 10-minute ride can help to keep the battery from dying after periods of not being used. This is the best remedy but is not always viable, especially in colder areas. You can hook your batteries up to a charger occasionally or use a Battery Tender to maintain your battery. You can also upgrade to a Lithium battery, it will hold an idle charge longer than traditional batteries. Keep your chain properly lubed. Many underestimate how important their chain is for the overall performance of their bike. A poorly lubricated chain can cause a number of problems, and if it breaks, it can damage the bike or cause serious injury to the rider. If you seldom use your motorcycle, it is still important that you keep your chain lubricated to prevent breakage and extend the service life of your chain. 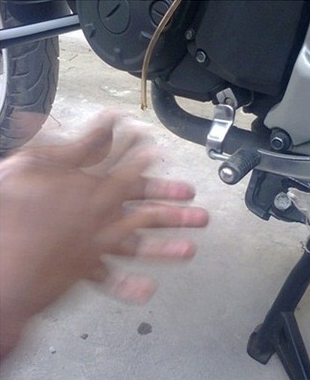 There are many common motorcycle problems. Carrying key tools in motorcycle backpacks or saddlebags will help you fix issues as they arise, but you can avoid some of the common pitfalls by doing proper maintenance. Next time you are faced with one of these problems keep these remedies in mind. Dewayne Jasper has been riding for over 6 years and currently rides a Kawasaki Ninja ZX6R; you can also follow him on twitter and know about his riding.